Reason 1,567 why George W. Bush is a doofus who should never have been elected president. This is truly astounding. Here is a story in the Washington Post explaining in part why things are such a mess today over in Iraq. It's because this administration valued ideology over competence when picking people to send to help rebuild Iraq. ...A 24-year-old who had never worked in finance -- but had applied for a White House job -- was sent to reopen Baghdad's stock exchange. ... The daughter of a prominent neoconservative commentator and a recent graduate from an evangelical university for home-schooled children were tapped to manage Iraq's $13 billion budget, even though they didn't have a background in accounting. It seems the most important consideration when picking people to rebuild Iraq was not whether they knew what they were doing and could get the job done, but whether they were loyal devotees of George W. Bush and fellow travelers in the right-wing conservative movement. If you can stomach it, I would recommend reading the whole article. Why anyone would ever support anyone involved with this administration again is beyond me. It can only be explained by blind ideology or willful ignorance. Launching this war in the first place was one of the worst, most-boneheaded decisions ever made by a U.S. president, but screwing up the occupation afterwards is probably a close second. I should know better than to ever let my radio dial stray anywhere near a station that plays Rush Limbaugh. The other day while I was surfing the AM stations I let it stay on Rush Limbaugh for just 30 seconds, but that’s all it took for him to say something that just ticked me off for the rest of the day. Rush Limbaugh is such a lying pig. People who listen to his show must just get stupider by the day. It is unreal. During that 30 seconds, Rush was in a huff about critics of Bush’s interrogation policy and he suddenly announced that waterboarding is not torture because our own troops go through waterboarding as part of their training. Bull! They do not!! Argghhh!!! Such a liar!!!! 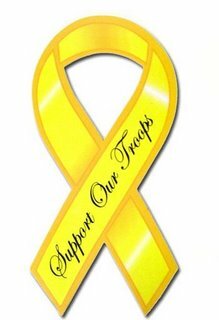 I can guarantee you that our troops do not get strapped to a board and submerged underwater and made to think they are going to drown as part of any kind of training. 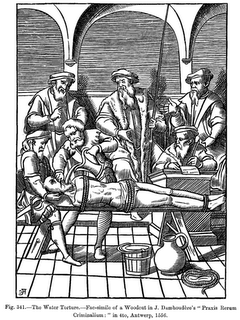 Now there is one secretive program at Fort Bragg, as I understand, where a few elite troops who regularly go behind enemy lines are specially trained to resist torture techniques, one of which is a form of waterboarding. 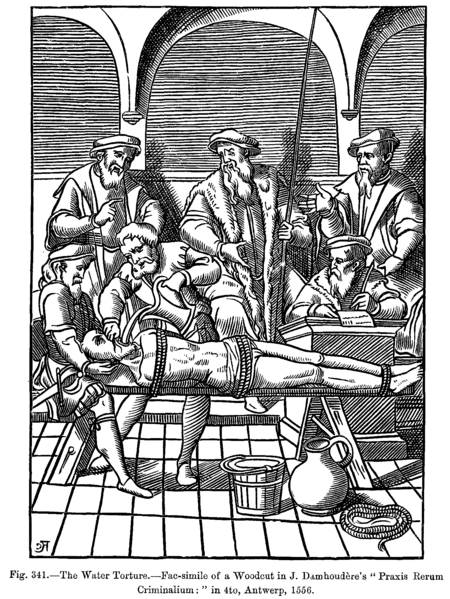 But to imply that all our troops receive such training, or that waterboarding is therefore not a form of torture is B.S. I remember my dad talking about his Air Force survival training before he was sent to Vietnam. It mainly involved being dumped out in the middle of a desert with little more than a pocket knife and a compass. It certainly did not involve being strapped down and held underwater. But Rush Limbaugh wants his gullible listeners to think that waterboarding is no big deal. Just another college frat prank like George W. used to pull all the time at Yale. HaHaHa. Like I’ve said before, torturing people is wrong. I don’t care if we are talking about Osama bin Laden himself, it is still wrong. We are better than that and for our president to insist that we must stoop down to Saddam Hussein’s level is just shameful. The Republicans managed to prop up liberal Sen. Lincoln Chaffee the other day by dumping a lot of money into the Rhode Island Republican Primary so that he could ward off a stiff challenge from a conservative newcomer. I was conflicted by the results. A victory by the conservative candidate would have pretty much guaranteed a Democratic victory in November — Rhode Island is about 80 percent Democratic. Republicans were prepared to pull up stakes and concede the seat in that case. But by winning, Republicans will have to spend even more money in the fall if Chaffee hopes to hang on against Democrat Sheldon Whitehouse. I can think of worse ways for Republicans to spend their money than supporting a guy who I agree with about 90 percent of the time. Heh heh heh. One of my favorite politicians has died. It was a thrill to see her win the governor's election in 1990, defeating a prominent Aggie by the name of Clayton Williams. How prominent? The Texas A&M Association of Former Students building is named after him, if that's any indication. I still have my "Aggies for Ann Richards" T-shirt from her first gubernatorial campaign. A very rare item indeed. 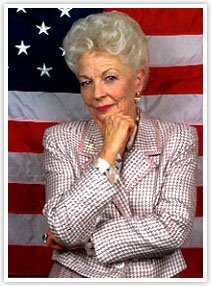 I had an Ann Richards for Governor bumper sticker on my truck when I got married. And one of the first trips my wife and I took after our honeymoon was to go to Ann Richard's inauguration in Austin. I thought she did an excellent job as governor and truly deserved a second term. Her one big mistake, in my opinion, was signing the Texas Lottery into law. Unfortunately, I think public support for a lottery back then was so strong that it would have been hard for any politician to stand in its way and it probably would have been approved regardless of who was governor. I only got to meet Richards one time, during an Aggie Democrats function during her first campaign (Carol Channing was there too!) In 1994, she did not campaign in Kerrville (one of the most solidly Republican areas in the state) so I did not have the opportunity to interview her like I did George W. Bush. Bush wasn't a bad governor, but he has been a lousy president. It is too bad that Ann Richard's political career ended so soon. If she had won re-election, and Bush had been forced to go back and do something he was good at, like being part-owner of the Texas Rangers, then things would be very different today. We would not be bogged down in Iraq. Osama bin Laden would already be dead or captured. And we might even still have a surplus. Rest in Peace, Ann Richards. It’s getting easier to find my car in the parking lot these days. All I have to do is look for the one that still has one of those yellow-ribbon magnets on the bumper. But today the predominant message seems to be one of bored indifference. Except for those people who have family or friends in Iraq, the war coverage doesn’t excite us anymore. In fact, it has become something of a bummer and most of us would just as soon watch a re-run of CSI-Miami rather than hear about the latest attacks by the insurgency. The war in Iraq is suffering the same fate as a once-successful football team that is now having a string of losing seasons. When the team is winning, everyone is a fan. But when it is losing, the fans disappear and move on to the next winning team. There are still some diehard fans of the war, cheering enthusiastically regardless of the reality in Iraq. And there are still some diehard opponents of the war who insist (rightfully so in my opinion) that we need to pull the plug on the whole operation. But the vast majority of folks in the middle seem to have just lost interest altogether. They seem content to just let Bush and Co. coast along with the status quo until his term in office ends. And the dearth of yellow-ribbon stickers on cars is just one small indication of our national boredom with the war. In recognition of the 5th anniversary of 9-11 I am posting an address that former Vice President Al Gore gave to the Council on Foreign Governments five months after the tragedy that I found over at Political Animal. I am grateful to be back before the Council on Foreign Relations and I want to congratulate Les Gelb and the entire Council — its staff and its members — on the great work you have been doing to deepen our understanding of America’s role in the world. A lot of people have let me know they wished I had been speaking out on public affairs long before now. But in the aftermath of a very divisive election, I thought it would be graceless to do so and possibly damaging to the nation. And then came September 11th. In the immediate aftermath, I expressed full support for our Commander-in-Chief, President George W. Bush. Tonight I reaffirm that support of the President’s conduct of the military campaign in Afghanistan, and I appreciate his candor in telling the American people that this will be a long struggle — for which the nation must be braced and its political leadership united across party lines. All Americans are proud of our nation's triumph — and especially proud of the courage and skill that our armed forces have demonstrated in winning swift and decisive victories. Our men and women in uniform have shown uncommon valor and the highest levels of dedication, professionalism and preparedness in responding to this enormous challenge. They have proved they are up to the task and I know they will continue to protect and defend us in the coming stages of the military campaign as well. If yesterday marked the five month anniversary of the darkest day in American history, today — the Day After — must mark the anniversary of one of the greatest days in American history: because on September 12, a bruised and battered nation began to fight back. Some fought back by rushing to aid and rescue the few surviving victims of the tragedy — and to aid and comfort the grieving and bereaved. Here in this city, even this today, remains are still being removed from the World Trade Center site. This is anger different than the pure evil represented by terrorists, but anger nonetheless — anger which is the medium on which the impulse to terrorism thrives. The evil we now confront is not just the one-time creation of a charismatic leader and his co-conspirators, or even of a handful of regimes. What we deal with now is today's manifestation of an anger welling up from deep layers of grievance shared by many millions of people. But still, the question remains — what next? Is Iran under the hard-liners less of a proliferation threat than Iraq? Or less involved with terrorism? If anything, Iran is at this moment a much more dangerous challenge in each area than Iraq. Iran is flight-testing longer range rockets. Iran has loaded up at least one merchant ship with a cargo of death for Israel. On the Korean peninsula, unlike in the previous two cases, we have a strong ally in South Korea. It is not enough to call North Korea what it is — evil. We need to continue to keep the peace by remaining ready for war, as we have for almost fifty years. We also need to work with President Kim Dae Jung and the government in the Republic of Korea to galvanize positive action on the peninsula. Throughout the 1990s we proved that a creative, sustained program could help move the North Korean regime in new directions. Such creativity and commitment to addressing our interests in Korea are needed more than ever now. But we need them with us — and equally for sure, we cannot bind them to us for fierce battle over the long term if we take them lightly. We may be the world’s sole remaining super-power but we are going to need allies. In Greek mythology, Hercules was the super-power of his day, but when he faced his most dangerous foe, the multi-headed Hydra which — like the terrorist networks of today — grew two new heads every time one was cut off — he had to build a coalition. Uncharacteristically he teamed up with an ally because it was the only way he could prevail. One of the truly bad things about our politics is that it incites each administration to attack every last thing its predecessor has done, and to either tear down what was left or rename it so that its parentage can be forgotten. We did some of that — but we also kept a lot of what we inherited from the first Bush administration and we protected it and built upon it. The struggle against terror may last for a very long time, even past a shift of parties in power. You know, the Cold War was won by the cumulative work of administrations from Harry S Truman to George H. W. Bush. And I hope that the present administration chooses to invest in reconstructing a sense of what bipartisanship in the defense of the country is all about: even after the planes land and the guns stop firing. 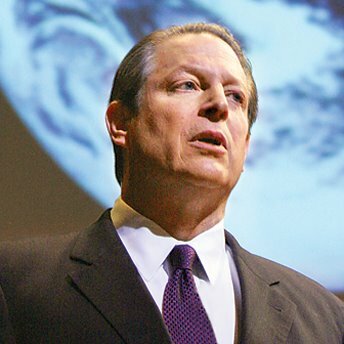 I don't pretend to any received wisdom but I learned a lot from my experience in the Clinton-Gore administration: lessons I think are worth remembering and incorporating into the normal practice of our diplomacy — and of protecting from the vicious rip- tides of our politics. I know from experience that bi-partisanship is no easy matter. It is difficult to go against one's own political base, whether it’s a Democrat supporting the MX missile or a Republican trying to cancel an obsolete 70 ton artillery piece. Above all, I learned that our engagement with others on behalf of common values is something that must be of profound intent, and of long duration. It isn't enough to destroy what is evil, and then seek to leave by the nearest door. We must make the commitment to work with those whom we have rescued until they can stand on their own feet.